When a parent is faced with finding interventions for their child who may be struggling with learning, developmental and/or behavioral problems, they need to explore the many options currently available and evaluate each one. They must take into consideration the effectiveness of the intervention (considering relative benefit/risk), whether it is appropriate for their particular child, the timing of the program relative to other interventions that are being done, cost and accessibility. it only requires 10 days, with two 30 minute listening sessions each day. it can be provided as young as 3 years of age. Hyperbaric oxygen therapy (HBOT) has been utilized to treat Autism in many countries throughout the globe. The rationale behind using hyperbaric for Autism is that the treatments increase cerebral blood flow and thus oxygen is delivered to areas of the brain, which are thought to be oxygen deficient. Greater amounts of blood and oxygen begin to stimulate cerebral tissues and aid in recovery of idling neurons. HBOT also reduces excess fluids and swelling of brain tissues which aid in neurological function and a less confused state in Autistics. 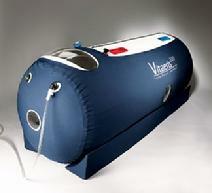 Hyperbaric is also used as a complementary therapy for the treatment of heavy metal detox for such materials as mercury. Hyperbaric assists in the metabolism of heavy metal removal. It can help a patient counteract the effects of heavy metal poisoning and helps body deal with toxins even as noxious as cyanide. It is often used in conjunction with chelation and other detox procedures to help support the body to deal with the impact commonly seen in the removal of heavy metals, mercury, toxins, and other contaminants. Worldwide, medical researchers are discovering promising results with the effects of hyperbaric therapy on persons with Autism.